How much do we have to walk each day? On the 1st of July I decided I would get out everyday on my bike for the whole month. I was not going to try and replicate the Tour de France or do anything ridiculous – I just followed suit on the 10000 steps a day challenge and do 10000m (or 10k) everyday also. Why? Well I am working from home mostly so I don’t walk to the car, walk around the office, go out at lunch time etc and basically I can take the day as it comes. I ride my mountain bike twice a week, and tend to walk a reasonable amount. But could I walk and bike those distances everyday when I didn’t have to leave the house other than a couple of dog walks? The have been a few close calls so far – A busy day (sitting at my desk) here and there meant I had to make the extra effort with Brodie (the dog) and last night it was 8.30pm and I really wanted to sit down but I made myself get out on the bike and it was totally worth it. That’s an on target, 100km by bike and 76,321 steps (or approximately 70km on foot also). I know there will be those that commute further each day and ride much more each week – this is a personal thing and not me stating this is anything special. I want to see if there is an improvement on my fitness or sleep or health in anyway for me. How do I feel? I think I need to start to stretch my legs a little, even the 45-60 mins a day has an impact and I noticed last night my legs felt heavy and lacking a little bit of energy – could be diet related? 25 days to go including a very difficult day tomorrow where I am spending most of the day in the car – I need a plan! Thanks buddy… Its not easy unless you make the time for it. and mounts to about 3 hours activity a day. 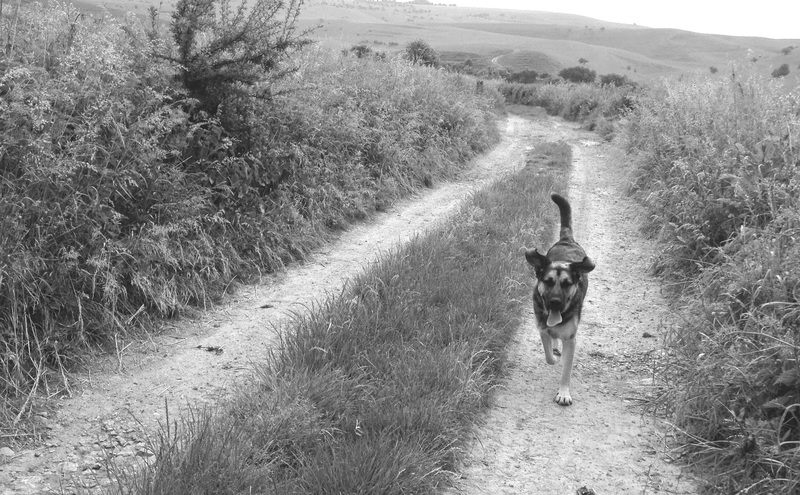 Took the dog out for over an hour this morning before it rained – good start to the day. Tomorrow is going to be tricky as I have a day in the office in between 2x 3hr car journeys!